Once again, the curse of the 90th minute struck. 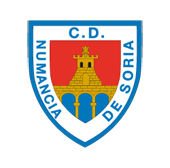 Numancia threw away a game they had dominated from beginning to end in the last minute, one in which they had taken the lead, then missed chances galore to seal the win, and conceded in the last minute. Once again, it was all in vain because of what happened in the 90th minute. López Garai brought two new faces into the defence for the fixture in Reus. Derik started alongside Pichu Atienza on the right while Cristian Ganea lined up on the left side, playing behind Alain Oyarzun, and the pair of them put in a good shift in the first 45. It was a cross from Oyarzun, from the left, that led to the first goal of the game. Catena, attempting to clear, managed to put the ball into his own net, much to the surprise of Pol, the hosts’ goalkeeper. The goal calmed down the visitors who, now one up, started to combine well and produced several threatening attacks down both wings. Yeboah, after an intricate move, found himself on the edge of the box with room to shoot, but his stinging effort went wide by a couple of inches. That was the Rojillos’ last chance before the break. After half time, things continued much the same. Reus changed their midfield around and adopted a 4-3-3 formation, like López Garai’s side. Numancia had bossed the game throughout the first 45 and reasserted this dominance in the second. The only thing missing was to get a second goal and clinch the result. One chance to do so came when Unai Medina robbed the ball in his own box and moved swiftly up to the other end, playing in a great cross for Guillermo. The striker’s headed attempt went high and wide, however. Guillermo was also involved in the next chance to double the lead, but again his shot went just wide of the post. Numancia let their opponents off the hook time and time again and, though they were well in control, the one-goal lead was too slim, and they were once again punished for this, for the second week running. A scramble in the visitors’ area, with as many as three shots being blocked, was eventually resolved by Querol, who latched on to a rebound slammed the ball past Juan Carlos as the Numancia players and bench looked on in desperation. Once again, two points were dropped at the last gasp. Reus Deportiu: Pol, Bastos, Borjita, Olmo, Catena, D. Querol, Ricardo Vaz, Carbonell (Enri, m. 84), Gus Ledes, Juan Domínguez (Alfred, m. 71), Mario Ortiz. C.D. Numancia: Juan Carlos, Escassi, Ganea (Nacho, m. 86), Yeboah (Marc Mateu, m. 64), Derik, Alain, Medina, Atienza, Guillermo (Jordi Sánchez, m. 75), Fran Villalba, Diamanka. Referee: Ocón Arráiz (La Rioja committee). Assisted by García Sabuco and Ortuño Sierra. Yellow cards for Querol, Ricardo Vaz, Gus Ledes and Mario Ortiz, (Reus), and Escassi, Yeboah and Fran Villalba (Numancia). Goles: 0-1. Minute 22. Catena, own goal. 1-1. Minute 90, Querol.